Don’t let them eat your brains! 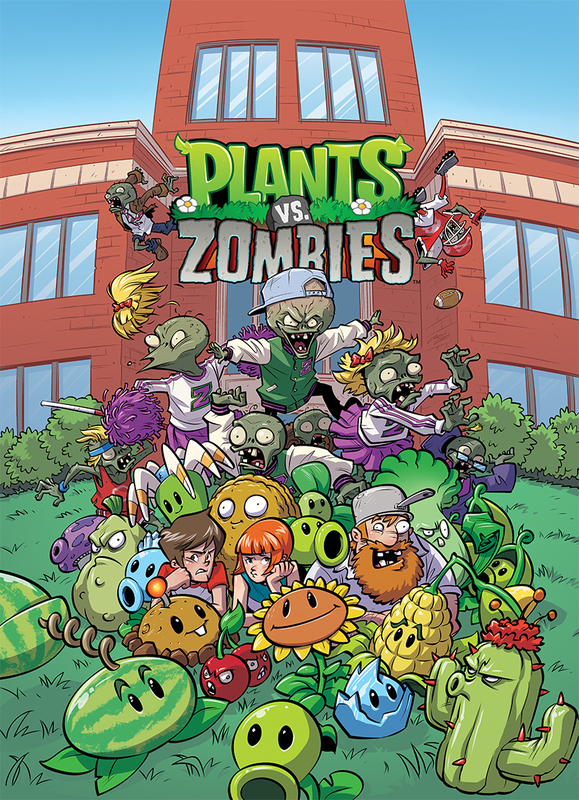 Dark Horse Comics has announced a brand new monthly miniseries, Plants vs. Zombies: Bully for You from Paul Tobin and Ron Chan. Nate, Patrice, and Crazy Dave investigate a strange college campus to keep the streets safe from zombies. And Dr. Zomboss’s crime-filled college years are revealed! Beyond the main story, the first issue also features two bonus stories illustrated by Dustin Nguyen (Batman: Li’l Gotham, Descender). The subsequent issues will feature bonus strips from creators such as Peter Bagge, Jennifer Meyer, Karim Friha, Nneka Myers, and others. Look out for Plants vs. Zombies: Bully for You #1 this June in your local comic shop!